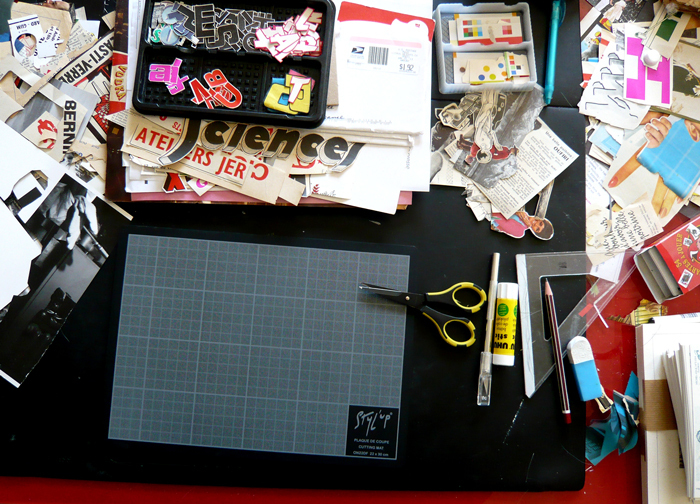 Musta Fior is a self-taught, French collagist who lives and works on the Atlantic Coast in Charente Maritime. 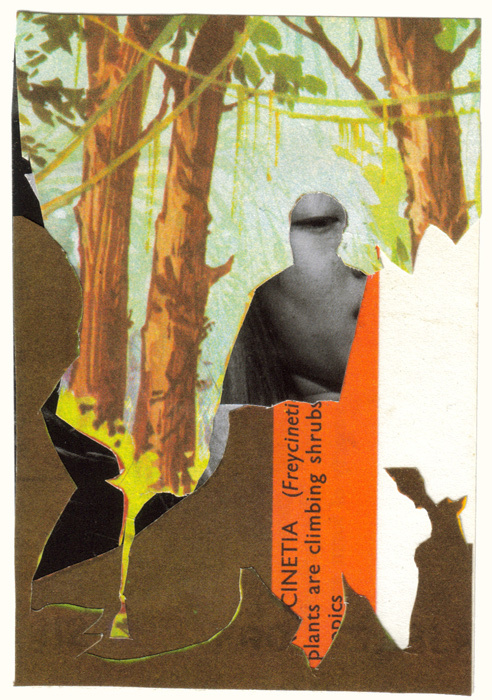 He started collaging around 2010 just for fun. After his first collage was posted on social networks, he discovered that people liked it. Then, he posted a second collage, and people liked that one, too. He then posted a third and then more. 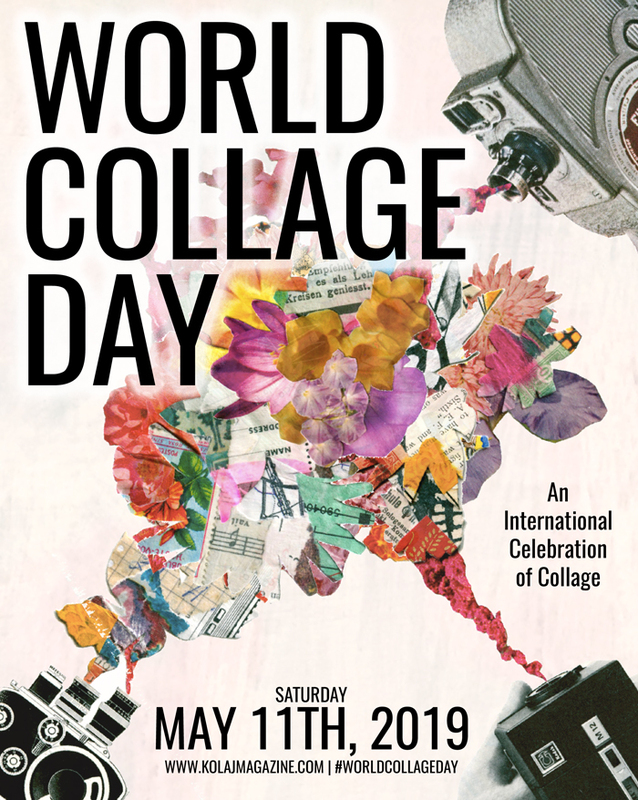 Since then, over time, and having received good comments about his work, collage became a passion. 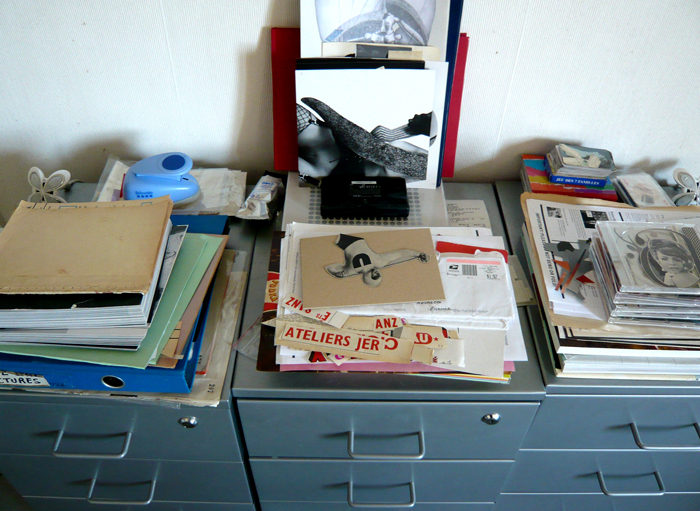 The room in which he works is both tidy and messy. 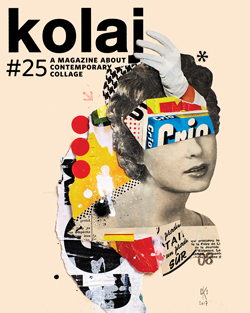 Different magazines or sources of images are classified by themes or years. 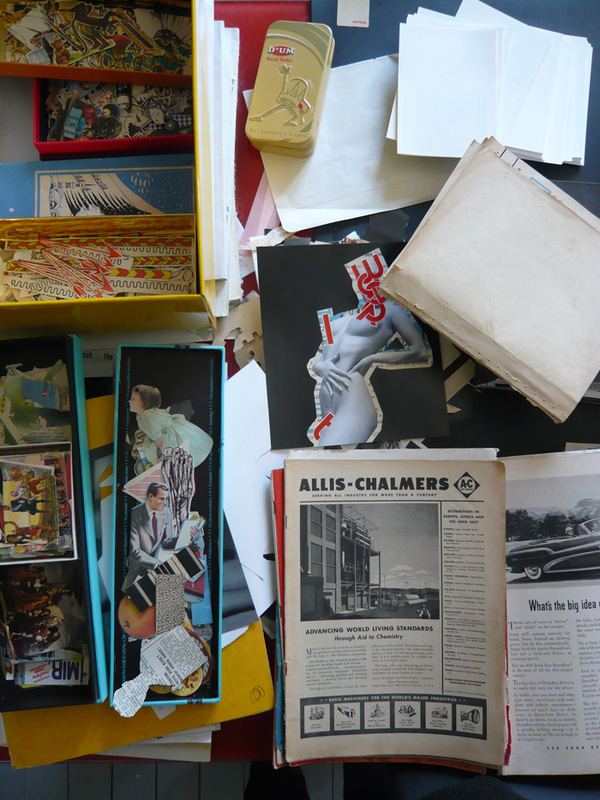 When he works at his table, he surrounds himself with many useful items, including collages and small boxes containing particular items or stacks of newspaper. He produces different series that may have relationships with each other or not. At the moment, these series concern the disintegration of bodies, such as the series “Calendar Girls”. 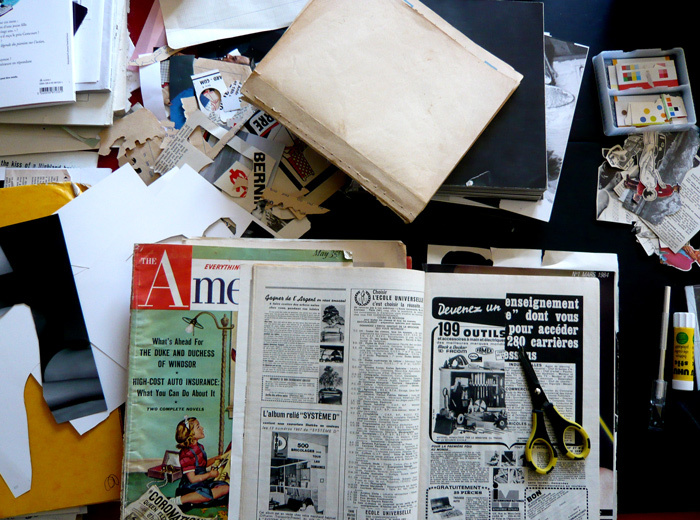 For this, he regularly immerses himself in his archives, old papers, magazines, books, and images of all kinds to extract the materials for a specific set. These sets usually include nine or twelve collages. When cutting the elements used for these series, he also keeps all the little leftover cuts and with these elements, he creates large abstract series, such as “FSRP” or “Aprékaf”. These series are completely instinctive. To learn more about Musta Fior, visit his Tumblr and his blog.